Along with good food, good ambiance is what most people prefer when it comes to restaurants. Some people prefer small restaurants as it isn’t crowded and they can have more privacy with their loved ones. So, if you have a small restaurant, it doesn’t mean that you can’t enjoy good music. We’ve gathered up the best Bluetooth speakers for small restaurant spaces to make it easier for you. Want a speaker that has an excellent sound quality, user-friendly, and versatility? The Sony All-In-One Micro Music Stereo System has all these audio requirements that won’t cost you a fortune. This stylish speaker brings entertainment to a whole new level. With or without wires, your small restaurant can be surrounded by ambient music. You can seamlessly play music directly from Bluetooth-enabled devices. Got CDs? This speaker system has a CD player allows you to play tunes from CDs. Use the USB port for audio files in thumb drives. You can also charge the speaker using the USB port. This speaker has an FM/AM radio that lets you listen to podcasts and the latest news. 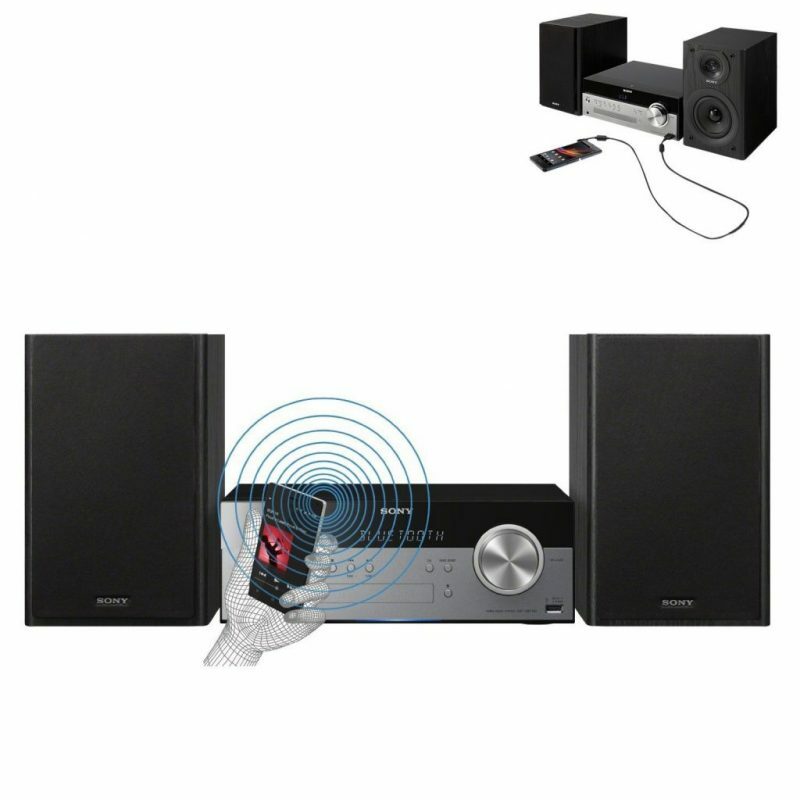 Sony, known for their high-performing and dynamic speakers, won’t disappoint you with this speaker system. 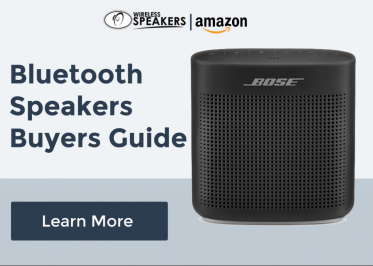 You’ll get a space-saving, clutter-free, and feature-packed speaker that’ll give your restaurant a music entertainment that you and your clients will surely appreciate. Simplicity and convenience are what the Pioneer X-CM56B is all about. This feature-packed speaker competes with other speaker brands with its versatility and better sound quality. You can play music from CD, Bluetooth, and AM/FM radio without disenchantment. The speaker produces a pleasantly warm and nicely detailed sound which is perfect for your restaurant setting. Pioneer also incorporated nature with this speaker. It has a wood grain enclosure that goes well with any interior design. If you crave for a reasonably-priced wireless speaker that doesn’t compromise its sound quality, the Pioneer X-CM56 is all up for the job! Enliven the aura of your small restaurant with a speaker that knows your audio needs. The Yamaha MCR-B020BL is a well-rounded, feature-packed speaker that’s right for the budget. The wireless speaker offers an incredible flexibility in providing total music entertainment. It provides a seamless Bluetooth connectivity, a clear CD player audio quality, and flawless AM/FM radio receptions. 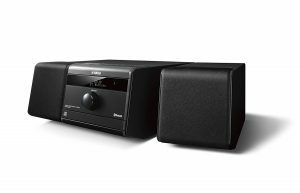 You won’t be This music system provides powerful, booming sound even with its small size. There are two detachable speakers on the side of the console gives more flexibility as you can position them at your convenience. They’ll surely provide a wider sound coverage for optimal music experience. 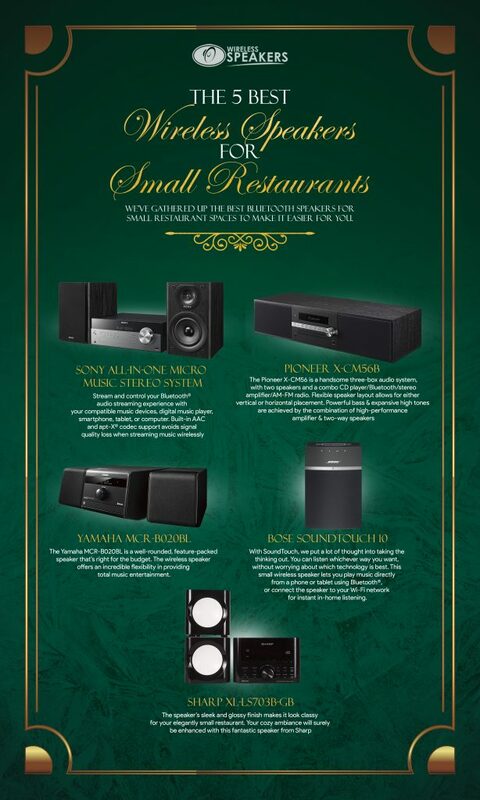 Put your small restaurant in a musical universe with one of the prominent speaker manufacturers. 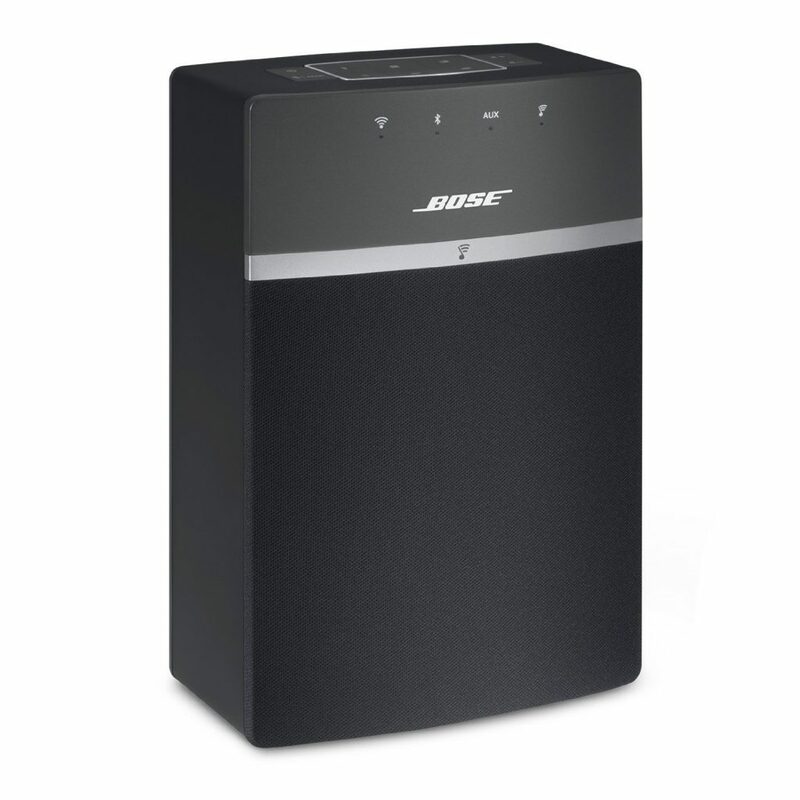 The Bose SoundTouch 10 is hailed as the Amazon’s choice for the best Bose SoundTouch speakers. This relatively compact wireless speaker works like a colossus with its punchy bass, well-balanced highs and mids. The speaker looks ordinary, but its simplicity is perfect for everybody’s usage. It offers a total user convenience with its straightforward shortcut buttons. Use it wirelessly via Bluetooth with ease and be carried away with its pleasant ambient sound. 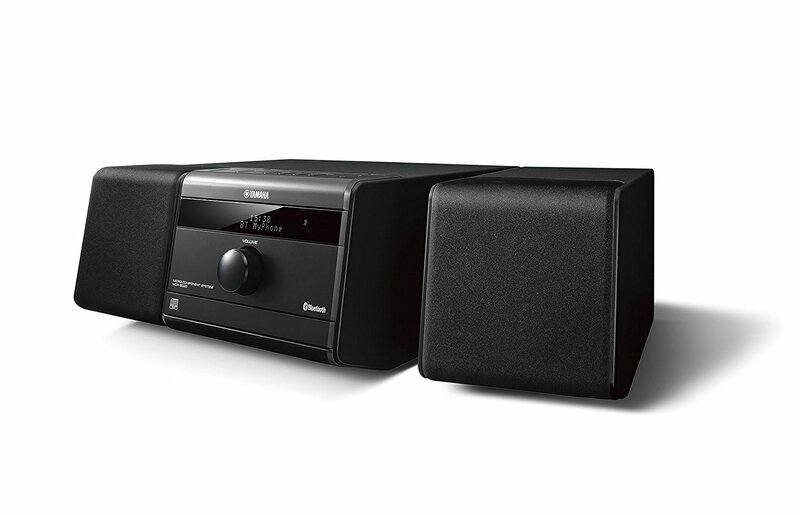 Fantastic sound with flexibility – that’s the Sharp XL-LS703B-GB. This wireless speaker consists of a main unit with two detachable speakers. You can listen to a variety of audio sources from this incredible speaker. You can play music wirelessly via Bluetooth with its easy pairing NFC technology. It also has a built-in FM tuner and a front-loading CD player. It also has a USB and 3.5mm audio jack for a wired music listening. The speaker’s sleek and glossy finish makes it look classy for your elegantly small restaurant. Your cozy ambiance will surely be enhanced with this fantastic speaker from Sharp. Moreover, it costs less than $200 which a good price for a speaker that works perfectly. You won’t require a huge budget to make your small restaurant pleasant and alluring to costumers. The best Bluetooth speakers for small restaurant ambiance will make your food business the best place to hang out and dine in.